Filter disc Filter disc is mainly use for filter. We manufacture filter disc as per customer requirement since year 1990. Filter disc made from Laktas wire cloth in stainless steel 304/316 /monal /inconal /brass. We can made filter disc minimum upto 4mm . 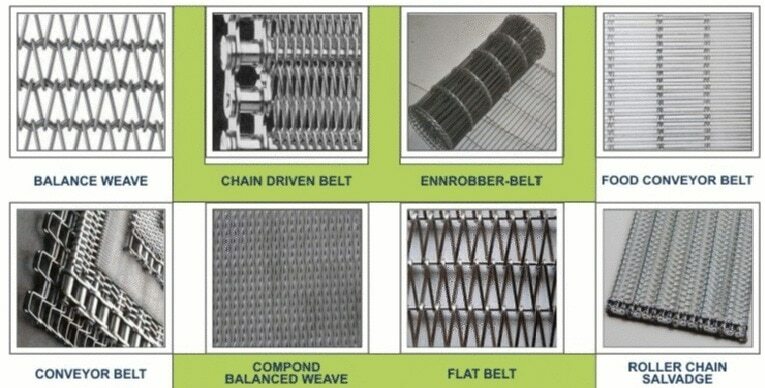 We are leading chain link manufacturer and exporter in India. Chain link use for fencing purpose. Chain link made up of galvanized wire of 30 to 50 gsm coating. Chain link & fencing is made as per customer need. Application in agriculture industry, poltary industry, horticulture industry, garden, sport complex. Hexagonal wire mesh Hexagonal wire mesh also called chicken mesh made in GI / ss304 Chicken mesh use for plastering so it also call plaster mesh. Specifications : opening 1"or 1/2"or 3/4" Chicken mesh also used in poultry industry. welded wire mesh use for concrete reinforcement fencing protective screens for vehicles partition machine guards crates for packing shelves in showrooms number of other applications Laktas weld mesh fabric made by hard drawn wire of IS 1566 . used for reinforcement as per IS 1566 and with wire of Fe 480 grade (IS: 432 (II) make 40 % saving of steel we are leading manufacture of weld mesh in india . with manufacturing and supply facility we can respond quickly according to customer's requirement . laktas expert staff are always available to provide you advice & assistance. .
Wire Cloth Is A Woven Fabric Made Up Of Metal Wire. The Wire Cloth Has Square Or Rectangular Openings Depending Upon The End Use Of The Cloth. Wire Cloth Is Available In Different Opening Sizes With Various Ranges Of Wire Diameters. Opening Is Space Between To Horizontal And Vertical Wire Center To Center .Laktas Wire Mesh Pvt Ltd Manufacture Following Type Of Mesh On High Speed Modern Machine With Accuracy . Laktas Wire Mesh is Leading Manufacturer, Exporter, Stockists & Distributer in Mumbai. Wire Mesh Screen is Made in all types of Metals as per customer requirement. We Never Sales... We help people to Buy. Laktas Wire Cloth is made in Stainless Steel 304, 316, alloy. Our Wire Cloth as per International Standard and acceptable throughout world. Laktas Wire Mesh pvt Ltd is Chain Link and Fencing Manufacturer In Mumbai. Chain Link made in Galvanized wire and used for Fencing and Poultry, Goat Farming. Laktas Wire Mesh is Leading Exporter Distributer and Stockist In India.